It's another big day for Greece and the euro. Greek markets tumbled after the European Central Bank raised the pressure on the country's new anti-austerity government to stick to the terms of its massive international bailout program, a message reinforced later by Germany. The ECB said that it would no longer accept junk-rated Greek government bonds as collateral for cheap central bank cash because it could not assume "a successful conclusion of the [bailout] program review." 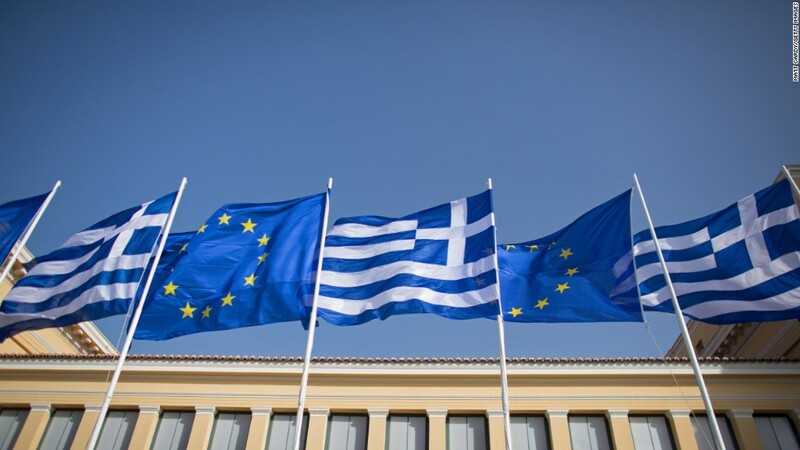 "We interpret this decision ... as a nudge to the Greek government to speed up negotiations with the EU and announce soon an agreement on a program," Barclays analysts wrote in a research note. Greek Finance Minister Yanis Varoufakis met ECB President Mario Draghi on Wednesday, and then held talks with his German counterpart Wolfgang Schaueble Thursday as part of a European tour aimed at drumming up support for a restructuring of the country's huge debts. But he ran into stiff opposition in Germany, which is the biggest eurozone contributor to the €240 billion bailout that twice prevented Greece crashing out of the euro, most recently in 2012. Speaking to reporters, Schaeuble said they had "agreed to disagree." Varoufakis countered: "We didn't even agree to disagree." Stocks in Athens fell by more than 3%, and the country's banks were even harder hit. Piraeus Bank (BPIRF) plunged by 15% and the National Bank of Greece (NBG) was down 12%. Investors are now pricing in a 70% risk of a Greek default, according to Markit. Shut out of normal funding operations, Greek banks will now have to lean more heavily on emergency liquidity assistance (ELA), which is more expensive and also requires continuing ECB authorization. "The dependence on ECB-approved ELAs is likely to weaken confidence in the Greek financial system further and could thus accelerate deposit outflows," wrote Berenberg economist Christian Schulz. 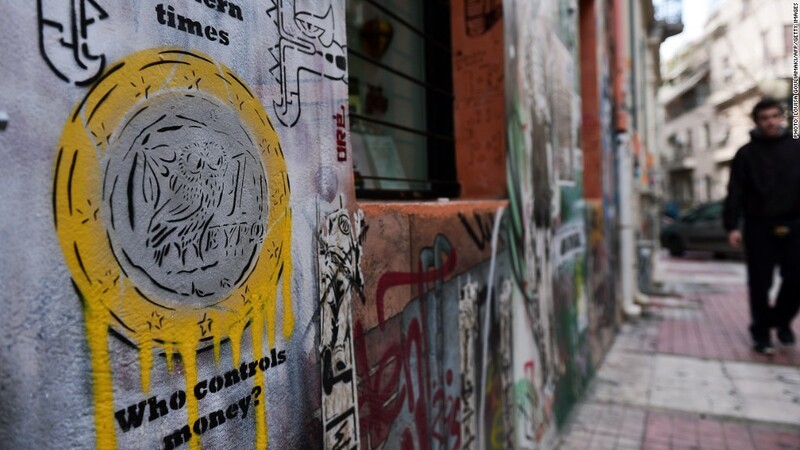 It's the banks that represent the biggest immediate threat to Greece's future. Money has been streaming out of Greek accounts -- Moody's estimates about €12 billion has been withdrawn since early December. The ECB may have no choice but to cut off emergency funding if Greece doesn't get a deal with creditors before the existing bailout program expires at the end of this month. That could force Greece out of the euro. "The probability of a Greek exit is clearly now higher than at any time in 2012," wrote the Barclays analysts.